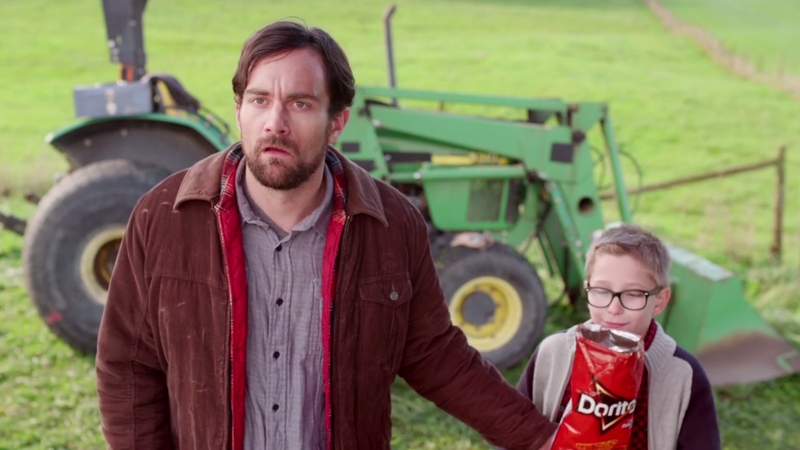 Once a year, Doritos hosts the Crash the Super Bowl contest, a chance for independent filmmakers to try their hand at creating a spot for TV advertising's biggest day. After receiving almost 4,900 submissions from 29 countries, the snack food brand has narrowed the field to 10 finalists. Fans are now invited to vote for their favorite until Jan. 28. The winner will receive coveted airtime during Super Bowl XLIX on Feb. 1—currently going for a whopping $4.5 million per 30 seconds. The winner will also take home $1 million and a contract job with Universal Pictures. People say being selected as a finalist is an honor, and in this case it also comes with rewards. A second submission chosen by the Doritos team will also air during the game, and everyone will take home cash prizes. Best of all, all 10 filmmakers will get to watch the Big Game from a private suite. Considering tickets for last year's freezing Super Bowl in New Jersey sold for an average $3,715, according to Forbes, that's not too shabby. Note: There's a potential controversy brewing around this ad, which is remarkably similar to an award-winning spot from 2010. Read more about that here.